Almost nine months after the device was originally unveiled at E3 2011 in Los Angeles and following a period of exclusivity in the manufacturer's native Japan, the Sony PS Vita has gone on sale in the UK. Hitting a host of retailer at one minute past midnight this morning, Sony's next-generation portable gamer is now available to buy as a PSP replacing, graphics savvy competitor to the Nintendo 3DS. Landing with a quad-core ARM Cortex A9 processor the Sony PlayStation Vita boasts an impressive 5-inch OLED touchscreen display with front and rear mounted cameras joined by the usual array of PlayStation certified controls and a touch sensitive back plate for added command input options. With the 940 x 554p resolution display helping pump out visually rich and impressive graphics, the Vita is the first next-gen high-end portable games console with Sony set to face stiff competition from the recent influx of impressive app-based smartphone gaming titles. The Sony PS Vita is available in both Wi-Fi only and Wi-Fi + 3G forms with the latter allowing for improved portable gaming options as well as web browsing and social networking. Allowing gamers to get their mitts around the next-generation portable console at the earliest available opportunity, a number of UK retailers swung open their doors at midnight to welcome the throng of eager consumers. With a variety of different midnight opening offers being banded around, those queuing outside GAME's flagship London Oxford Street store were rewarded for their dedication with the promise of a free £5 PSN voucher allowing them to fill their new console with digital content. Far from cheap, the Sony PS Vita price sees the console land more expensive than a new Xbox 360 or Sony PS3 device with the Wi-Fi only model to play host to a £229.99 price tag. As a standalone console, the 3G capable Vita will set wannabe owners back a hefty £279.99. As well as being available from online retailers and specialist gaming stores, UK smartphone retailer come network provider Vodafone has confirmed that it will stock the PS Vita from launch tomorrow. Leading the way in the pre-release Sony PS Vita price wars, however, was supermarket chain Asda which is offering the new console for just £197 both in store and online. With Uncharted being used to demonstrate the PSP replacement's impressive hardware credentials during its first official public appearance earlier this year it comes as little surprise that Uncharted: Golden Abyss is to feature as a Vita launch release. 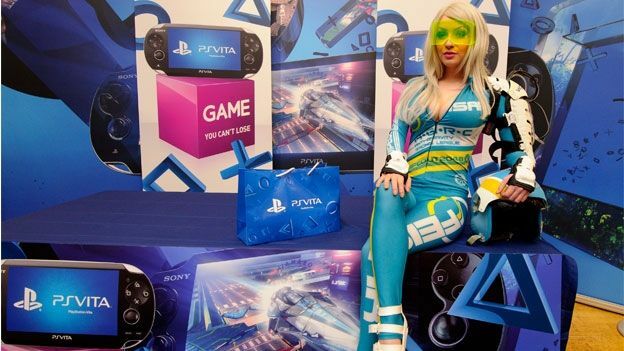 Timeless PlayStation launch classic Wipeout will return for the Vita in Wipeout 2048 whilst PS3 showcase title Motorstorm is also set to be reincarnated through Motorstorm RC. The usual array of lower-end puzzle games, sports titles and action sims also feature within the selection of launch day titles with the likes of Reality Fighters and ModNation Racers: Road Trip to touch down alongside Little Deviants and Everybody's Golf. Top Darts, Hustle kings and Escape plan round out the line up with Escape Plan and Super StarDust Delta. More notable Vita game releases include FIFA and F1 2011, two of the hottest sporting sims that have made the jump from the more illustrious consoles to the fledgling service. Are you be looking to splash out on the Sony PS Vita now that it is available in the UK or are you happy with your smartphone's gaming options? Let us know via the T3 Twitter and Facebook feeds.